Displaying 21 - 25 of 48 results matching your search criteria. 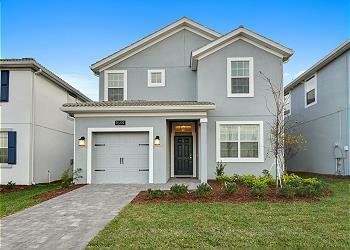 This 5 bedroom ChampionsGate Resort home grants guests access to it's Oasis Clubhouse! It features a Two Story Waterslide, 1,000ft Lazy River, Children's Splash Zone, Movie Theater, Jacuzzi, Fitness Center and even a Restaurant for your enjoyments! 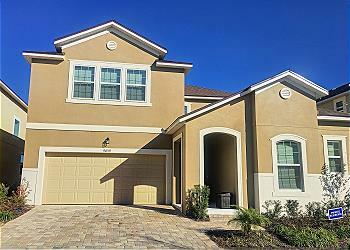 Geneve Palm is a beautiful 5 bedroom, 4.5 bathroom property at Windsor at Westside! 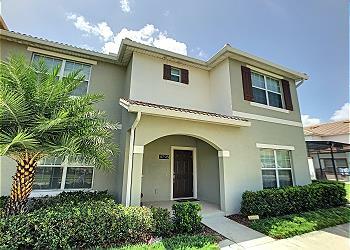 This townhome is perfect for you and the entire family vacationing near Walt Disney World. 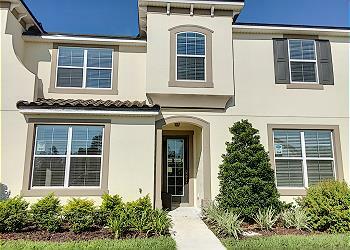 Lake Palm is one of our luxury townhome just next to Clubhouse in the Resort Community at Solara! It's about 20-25 mins away from Disney~ This 5 bedroom, 4.5 bathroom is furnished comfortably and beautifully with luxury in mind. Sun Ridge Villa is the ideal home for your vacation. This house is immaculately designed, offers a lot of space and is gorgeous. This property has 5 bedrooms, 4.5 bathrooms with a large, private pool. You also have access to the community clubhouse. SUNRISE LAKE--Stunning 5 bedroom, 4 bathroom townhome--updated with current fixtures, private pool and separate living spaces for everyone. This gorgeous property is modernly furnished and gives you the feeling of luxuy.